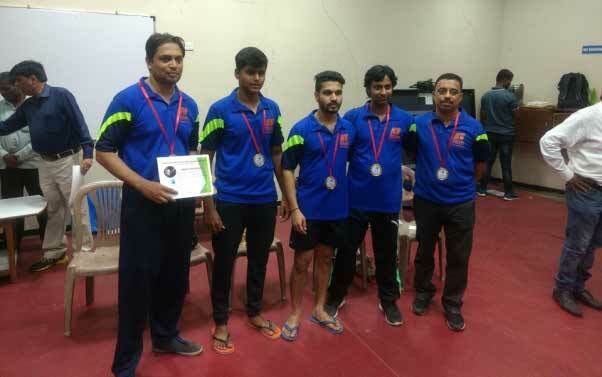 Pune District Table Tennis Association conducted Interclub Tournament during 7th May to 13th May 2018. Total 52 teams participated. EKAM TT Academy participated for the first time in this tournament. EKAM Consultants sponsored four Teams. EKAM A team won the tourmanets 3-1 with MIT Pune. The Players in the team are - Yog Wasan, Raj Shinde, Adway Dandwate, Abhijeet Limaye and Makarand Phansalkar. This is a proud moment for EKAM and we are commited to take next steps. EKAM Consultants would like to thank all sponsors, memebers and families for supporting EKAM TT Academy. 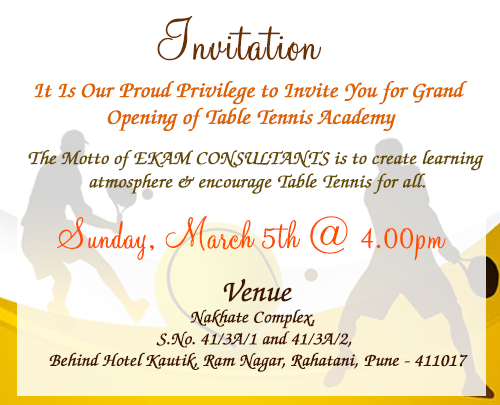 We would like to thank you for your valuable support and wishes for EKAM Table Tennis Academy which started on 5th March 2017. The first Batch of students is enjoying coaching and is progressing. As a next step we are now coming up with facility for customised management coaching. Every individual and organisation has different need to face their challenges. These challenges vary time to time during the journey of excellence. We at EKAM would like to serve them by designing customised workshops. We have team of experts and we will include more experts for different subjects so as to design effective workshop. We will strive to develop people in this process. We also undertake personal and team coaching for continuously improving performance. The workshops can be delivered at EKAM or at the Client premises. Currently we are delivering “Lean Tools”, “Be Happy and make others Happy” and some customised workshops. 309, Pride Purple Square, Kalewadi Phata, Pune - 411 017, Maharashtra, India.